Concrete Rugby, an Aggregate Industries community initiative delivered in partnership with the Leicester Tigers Foundation, has exceeded all targets as it completes the second year of the programme. Almost 2,000 young people from across Leicestershire have taken part in Concrete Rugby between October 2017 and July 2018, representing an 81% uplift on last year’s programme. Concrete Rugby is a six week programme where Leicester Tigers coaches introduce rugby skills to pupils in years 7 – 10 across the region. As part of the scheme, coaches teach youngsters a range of skills including handling, tackling and game-play. Each session also includes a discussion on topics such as safety, exercise and well-being. The programme also tackles a number of issues including anti-bullying, cyber-bullying and cycle safety alongside encouraging youngsters to get involved in rugby. This year female participation rose by 36% with a total of 712 girls completing the six week programme; far exceeding Aggregate Industries’ and Leicester Tigers’ participation target of 450 females. In addition to this, almost 400 black, Asian and Minority Ethnic (BAME) students took part in Concrete Rugby – representing an increase of 20% on the previous year. 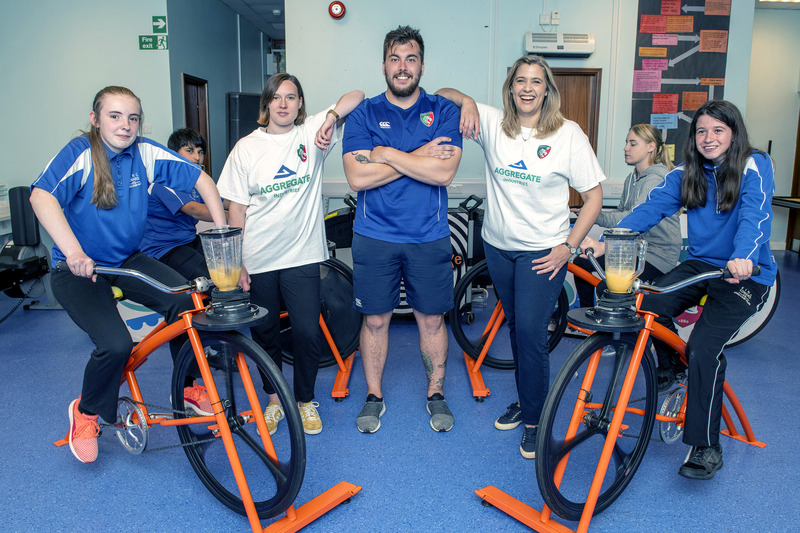 As part of the wider Concrete Rugby initiative, Aggregate Industries and Leicester Tigers Foundation worked together to deliver ‘Give Bullying the Boot’; a campaign to help beat bullying in Leicestershire and ‘Get on Your Bike’ – an initiative to get youngsters to become more active through cycling.